So, it's kind of late to post this, but I've been busy (farming in Dragon Nest) and only had a chance to try this last night. Being tired and such, I failed pretty hard dying on the first lap with a rage quit. It's a pretty fun game nonetheless; I'll give it another shot tonight. I picked Homura, which is supposedly mediocre while Sayaka and Koyoko is easy mode. It's just what I heard; I haven't tried them yet. Some small info about the game: it was sold for 1k yen at Comiket by fans. Have fun and pray you do better than I did. 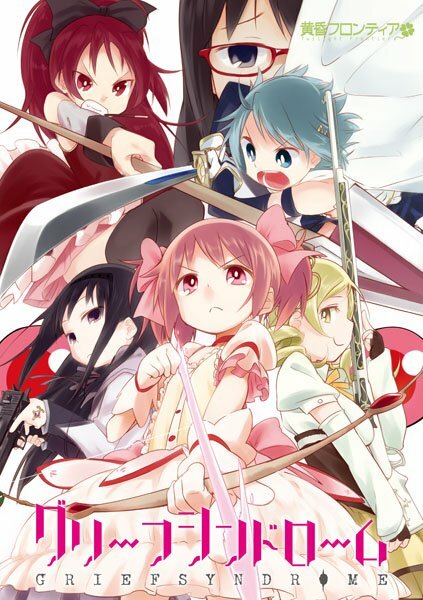 D: Nothing else much to say about it; it's a fun Madoka side scroller.